Lets try to answer this for you so you can make an informed decision you Back Loads or better known as Backloading. Backloading is a word often used throughout the Furniture Removals Industry and would imply that a truck with some available space could fill it by offering that empty space as a Back load. As the space would have remained empty without the Backload so its often given at a cheaper rate and will save you money. In other words, with Backloading you only pay for the space your furniture takes up on the truck. One thing to keep in minds is that Backloading is that delivery dates can only be given as an estimate as the truck will have to do other deliveries as well as yours. Some people worry about their furniture on the truck with others goods however it is a safe option. As all furniture will be wrapped in blankets and sectioned off the load will not be mixed up so there is no need for concern however if you are worried and want to take out Moving Insurance then that is an option open to you. If your wanting a full house move and prefer to fill in a more detailed Inventory List Large Back load Quotes. Looking to back load a few wooden boxes, 3 large carboard boxes, chair and 3 guitars. Perth to Darwin. Anytime from now onwards. Hi my name is Rosalie Richards I’m looking to move too Surfers Paradise around about the middle of September 2017, i only have a small amount of things to be move the largest would be a queen bed two Chester draws, two side tables, the rest is clothes and a small table and a few boxes, and the moment I’m just checking this out to find out what I would need to be done, looking forward to your email thanking you Rosalie Richards. Jeff here from EJ Removals Maryborough Qld. Just enquiring whether you have any subcontract work available? I’m an owner/driver with a fully equipped 60 cubic metre pantech. 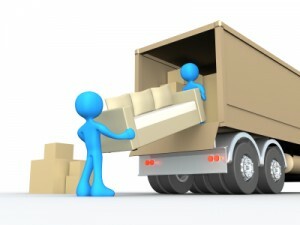 I have over 40 years experience in Removals industry, prefer interstate runs. Hello. We need to move to Brisbane, but will not be taking furniture. I have a lot of buckets of fabrics, books and personal things. Can you give us a ball park figure for a backload costing? And my car would need to go somehow. i am looking to move some items from sydney to innisfail north queenland and looking for quotes. Hi moving from Hobart to Adelaide.
? How much space available and price per 2meter. Thanks for your email. What are you moving? 2m3? Interested purchasing a backload trip from Stawell Vic to Gunn NT within next two months (April/May). Small items 4 boxes. Hi looking for backload from southwest WAto Gold Coast. 20 boxes and two guitars. Any time from now. Thanks for your inquire. Where is the pickup suburb? I am looking to move a large heavy mirror. A small mirror and a very small chair from Mornington peninsula to Darwin via a backload. I am looking to move 1-2 pallets of materials (tents, airbeds, blankets) from Gold Coast to Birdville on roughly 28th August. Would this be something you could assist with? I would need to get it back to the Gold Coast on the 1st/2nd of September as well. Thanks for your contact for your move from Shepparton to Gold Coast QLD. We do provide Furniture Removals and can provide you with a quote however need a complete inventory list of what your moving. Please email us at sales@interstateremovals.com.au or call1300 299 969. Looking to move furniture from Singleton NSW to Dingo Beach QLD 8-9th March box’s lounge fridges, house hold furniture.